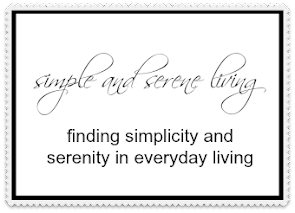 F Simple and Serene Living: is it spring yet? Yesterday was one of those teaser days. The sun was out and the temperature reached almost 60. It just seemed to increase my longing for spring. March is going to blow in like a lion next week, which I'm hoping means that it will go out like a lamb. In the meantime, I am thinking of better uses for those old boots than tromping through slushy weather. These boots planted with the lovely pink spring flowers is so cheerful, I love them. It is rainy and cold here but I'm heading to see my daughter, sil and Tiger so all is well in my world!! Dang it-60's! It's still snowing here today. Love the boots idea! Those darn teaser days! You start to smell spring in the air and then bam! Winter is back. I'm ready! My car got stuck in the driveway snow last night. Hi Laura! Isn't that a darling photo!? I need some cute boots like that. We need the sloshing to go along with it though. Our moisture is way down for the year, but it's still cold. I guess we're all thinking the same thing! We seem to have had a teaser week a while ago...and now it's gotten serious again...sigh. I've been looking for some boots like that for my photos...need some bright colors in my life. Cute boots/planter! Maybe I should "borrow" a pair of my granddaughter's sparkly ones!! Not Spring yet in Nebraska, but some of the snow melted this afternoon. I have no idea what the extended weather forecast is.....I hope we have a relatively storm-free spring! It is simply gorgeous here today! Boots and flowers, really cute together! Aye it is one lovely teaser, seems to be sunny in here for the past few days too. Must wait for Spring patiently is all I could do with so many Spring project ideas on hand. Got my eye on your next posts. I'm more than ready for spring as we're in the middle of our second snow storm in less than a week! Take care. LOVE those boots with matching flowers!